GITG is a GNOME application, which works as a front-end or graphical user interface for Git repositories. It lets you easily browser Git repositories and push your code to them. As you might know that GNOME team is working actively to release new version 3.17.1, so in this process almost all important GNOME applications are getting proper updates, GITG has also been revamped to new version 3.17.1. It has been made available for download and testing, once new GNOME version will be out there, we will see it equipped with GITG 3.17.1. 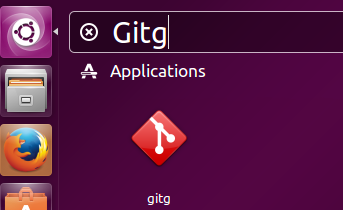 Let’s install this GITG version on our Ubuntu 15.04 operating system. This application can be installed on Unity and KDE desktop environments as well, as soon as the required dependencies are met properly. In order to install this new version on Ubuntu 15.04, download it from following URL. Once the download process is complete, launch your system terminal and go to the download location. Here run following command to extract the downloaded file. We are on the last step of installation now, run following command to complete the installation for GITG. Congratulations, latest GITG has been installed, launch it from Applications menu. There you go, start exploring and uploading code to GIT repositories. If you are having trouble installing the latest version, or just want to install the old stable version of this application, then run following command on your system terminal. It is already included in Ubuntu package manager repositories, so the installation process via APT should be smooth and easy. GITG is a must-have application for the developers, it lets them easily access GIT-hosted code. We hope new GNOME version to be developer friendly and equipped with more such awesome applications. make and make install does not work.